Tabard isn’t married and quite often thinks he’d make someone very happy. Which is why he was very disappointed not to see his name in US lifestyle magazine Town and Country’s top 50 bachelors of 2018. 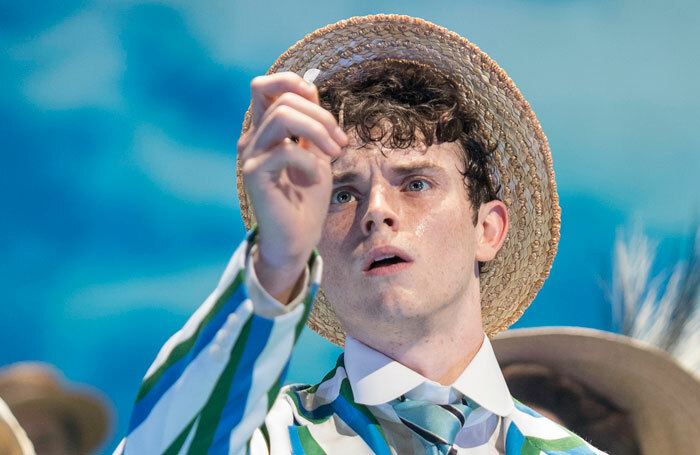 Still, there is one name on the list that caught Tabard’s eye – and that is the UK’s very own Charlie Stemp, who found fame in Half a Sixpence  in the West End, and who will soon be hitting the Broadway stage appearing in Hello, Dolly!. According to the magazine, his natural habitat is the rugby pitch. Which surprises Tabard, because one associates him more with dancing his cotton socks off on a stage. And, let’s face it, it’s not like he’s got a rugby player’s build, is it? But Tabard feels that Town and Country has missed the point somewhat here. Showing him off to your friends is something you absolutely can do – by directing them all to the theatre to see Hello, Dolly!. Tabard can’t imagine his other half being more proud as they watch him steal the hearts of hundreds of other people each night, knowing he will be going home with them.